In several posts I have attempted to show that, since the beginning of industrialization, industrializing societies have attempted to come to grips with the problems and opportunities that follow from industrialization. I have further suggested that two paradigms of social organization of industrial society have been attempted and have failed, while a third remains to emerge and consolidate a particular modus vivendi. This is a rather schematic account, and cannot be quite true any more than any schematic account of anything as complex as human life within industrialized civilization. Nevertheless, it may be a helpful schematism that provides a framework for organizing our knowledge and understanding. 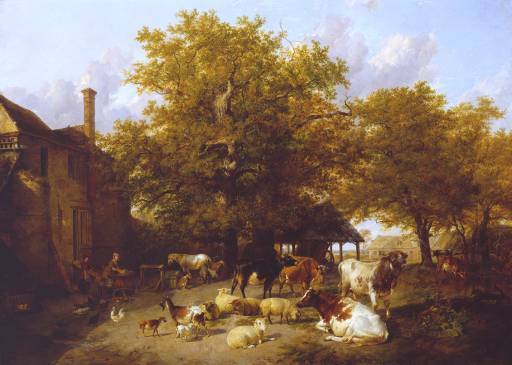 In agricultural civilization human beings live in close proximity to agricultural livestock, often in the same dwelling. Agricultural civilization, which still remains in some isolated parts of the globe but which has largely been displaced by industrialized civilization, is much, much older than industrialized civilization, and its history has covered a far longer period. Agricultural civilization emerged in history more or less coincident with settled civilization, perhaps between ten and fifteen thousand years ago during the Neolithic period. Thus agricultural civilization precedes written records and therefore history in the strict sense, and it even precedes what is usually given as the earliest date for civilization itself. I am choosing to call emergence of settled, agricultural societies “civilizations,” but the earliest examples of such societies are not generally identified as civilizations. The Barnhouse Settlement, an Orcadian Stone Age settlement discovered in the winter of 1984 by archaeologist Dr Colin Richards. Last night and again this morning I was reading one of my favorite books, The World Turned Upside Down by Christopher Hill, which recounts the intellectual ferment that took place during the English Civil War. 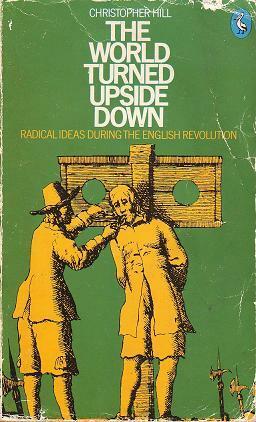 In the social turmoil of the English Civil War there was a flowering of divergent and radical political theories. We can’t call this the result of tolerance, because it was simply the result of something akin to anarchy. The pamphlets of the Ranters, the Diggers, the Levellers, and the True Levellers almost sound as radical today as any revolutionary movement that has emerged in the past four hundred subsequent years. When I was reading up on the Levellers last night it occurred to me that all of this turmoil took place entirely within the context of agricultural civilization. This efflorescence of radical political thought was not driven by a great transformation of integral history like the Neolithic Agricultural Revolution or the Industrial Revolution, but was entirely internal to agricultural civilization, and therefore not unlike the stages that I have described within the development of industrialized civilization. This realization was also a little surprising, because it can become almost an intellectual habit to assume that changes in the ideological superstructure follow from changes in the economic infrastructure. There were changes in the economic infrastructure of the time, but nothing as dramatic as the transitions of integral history. 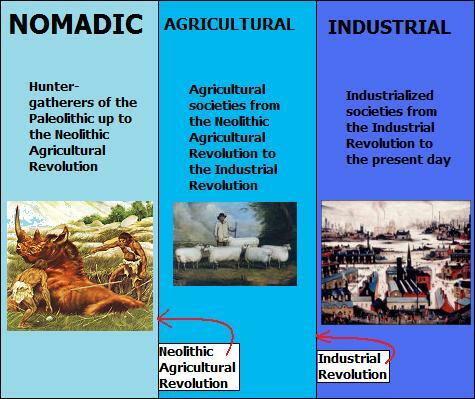 This realization led me to the next realization, namely, that I have no similar schematization of agricultural civilization into periods of attempted social paradigms, though it would be a help to the understanding of such an enormous period of human history to have some kind of structure on hand to understand the dynamics of agricultural civilization. Though I can’t remember where, I have written on several occasions that the problems that each particular epoch grapples with are not “solved” by the subsequent period of history, but rather that each period of history has its own problems and its own attempted solutions, and when one period of history gives way to another, new problems emerge and new solutions are proposed even as the old problems and their proposed solutions fade into history. A tripartite periodization of integral history, a scheme of history that comprehends both the historical and the prehistorical. So, as I now understand integral history — an idea that I proposed myself, so my understanding of it ought to be the definitive understanding of it, if you get my drift — since the emergence of anatomically modern human beings within natural history and the establishment of human societies, the major divisions within human history are defined by demographics, that is to say, by how the majority of human beings are living their lives. Human history, then (which is not the whole of integral history), has to date had the primary demographic divisions of hunter-gatherer societies, settled agricultural civilization, and settled industrialized civilization. Beyond this, I have proposed the possibility of extraterrestrialization as the next possible demographic shift of comparable magnitude to previous shifts of integral history. Beyond the scope of our present schematization lie the possibility of other developments in integral history. This latter described periodization is my schematism of the “big picture” of human history, which in turn is placed within the “big picture” of cosmological history. In the other direction, moving toward greater detail rather than toward greater generality, the major demographic divisions of human integral history can be each broken down into periodizations of their own. Within industrialized civilization I have identified two paradigms of social organization, firstly the factory system described by Engels and abhorred by Marx, and secondly the conformist patriarchy of mid-twentieth century America. A third, as yet inchoate paradigm, remains to take shape. I see these social paradigms within industrialized civilization as dynamic and evolutionary, each development leading to its successor — not inevitably, but certainly reasonably. 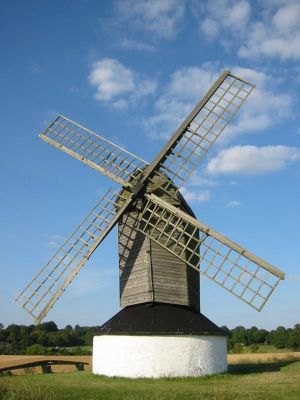 Proto-industrialization began with sustainable processes powered by renewable resources such as wind and water; the Industrial Revolution really took off when fossil fuels such as coal and oil replaced renewable resources. Thinking of agricultural civilization in this context, I see that I need to give more attention to these ten thousand or more years of human history and to try to understand the internal evolution of forces within agricultural civilization that played out over these ten thousand years. I need to identify the major formations of social paradigms within agricultural civilization and show how these formations evolved, and how agricultural civilization ultimately led to industrialized civilization. I have my work cut out for me. It is a work I eagerly wait to see you begin! Quite recently I read Ibn Khaldun’s The Muqaddimah. It was one of the most interesting books I have ever read; fascinating in its intricate description of civilizational dynamics and stunning in its very modern style of analysis of its time (c. 1390). As I read, however, I started to notice things that seemed a small bit off — stated connections between population size and wealth, the methods by which social solidarity is developed, or the ways in which norms change from one generation to the next — but could not quite put my finger on what Khaldun had wrong. It was only upon reflection that I realized that Khaldun had nothing wrong at all: he was simply describing a different world. The patterns of civilization have changed since his time. Khaldun is truly a prophet of the old order, but that order is no more. It is interesting to think, however, of the great many thinkers whose concerns were born of this order. Those of the axial age were all philosophers of the agricultural paradigm. The philosophers of Greece — Epicureans, Stoics, and Cynics alike, Cicero and his laws, Kautilaya and the strategists of India, as well as Kongzi, Laozi, Hanfeizi, Sima Wian and the other Chinese sages all were of this time. But so too were medieval thinkers — saints like Augustine, historians like al-Tarabi, philosophers like Zhu Xi — part of this age. Even supposedly ‘modern’ thinkers — Locke, Hobbes, and even the immortal Shakespeare — lived in a world of a different mold. It is enough to give one a moment of pause, is it not? Thanks again for stimulating comments. 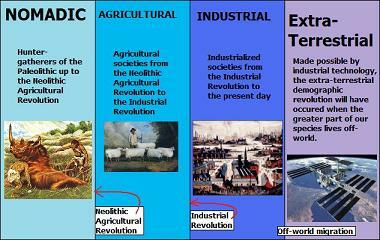 I have already started this work in a small way with my post Some Rough Notes on Agricultural Civilization. I particularly liked your comment regarding “philosophers of the agricultural paradigm.” I couldn’t have put it any better myself, and I agree that it does indeed give one a moment of pause — and that even having my own ideas reflected back to me through the perspective of another. I haven’t yet read Ibn Khaldun’s The Muqaddimah, though I see I will need to get to it. More firmly within the western tradition of historiography than the work of Ibn Khaldun, though also representative of a distinct and different civilization, I have been impressed by the sophistication of the Memoirs of Philippe de Commynes. It, too, possesses a “modern style of analysis of its time,” though there is not much of a sociological aspect to the work, being more political in character. As an aside, this post has reminded me of a piece I wrote a few months ago on the emergence of the ‘modern’ paradigm of thought. You might find it interesting. Thanks for making me aware of your “Through the Agency of Demons: A Small Sketch of the Modern Mind’s Making” post. 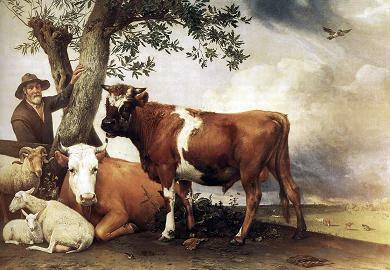 It has occurred to me since I wrote the above that both of the great transformations of traditional western historiography — from antiquity to the middle ages, and from the middle ages to modernity — are, like the tumult of the English Civil War mentioned above, transitions entirely within the context of the agricultural paradigm. It is inevitable that such a large portion of human history as is represented by agricultural civilization will continue to influence us long after the paradigm has been superseded, but this also points to the pervasive way in which our conceptions of the world are dated and need to be re-thought. In this post, you have written about the extra-terrestrial civilisation. I really disagree with this hypothesis that certain civilisation will emerge in the future in which people will migrate in space. How could we live in the space? On this earth, living conditions are created by nature and we, the human race want to search for some other planet to live? Why? These are all abnormalities created by technological advancement. We are not saving our earth from global warming and other problems but want to search for a new planet. How ridiculous in deed.